Silkie hens just love to sit on eggs, even when they don't have any eggs to sit on, I found one of my Silkie bantams brooding 3 golf balls in a plant pot last year! This can be a really good thing, since there hasn't been an incubator made that can rival a good broody hen. I have a silkie hen that has raised 4 broods of chicks in a year so they do make dedicated mothers. But if the hen in question is a valuable hen that you want lots of chicks from, and you are plan to hatch using an incubator, broodiness can put a real crimp in your plans. 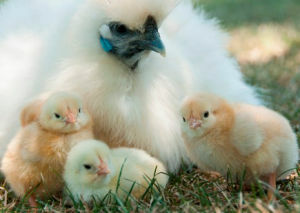 Below: A Silkie hen brooding her chicks. My experience with large number of broody Silkies is that they are tenacious and patient sitters with a good nature. I have had 4 hens share 1 broody coop with no issues at all. 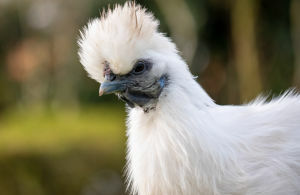 Silkies are not the breed to keep if you do not want to have to deal with broody hens, most go broody at least once a year. When a hen goes broody, she stops laying and sits. She will usually sit for at least 3 weeks and may not lay for another six weeks after that. Some silkies will sit for months if they are really into it. The broody hen is not going to lay any more eggs as long as she is sitting. A broody hen is wonderful thing if you are trying to hatch chicks and Silkies make excellent incubators. 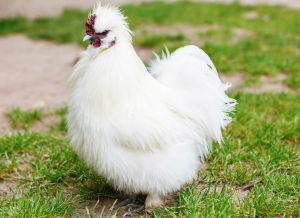 Many backyard chicken keepers, myself included keep silkies for the sole purpose of having them hatch out eggs. They can hatch any other breeds of chicken’s eggs, duck eggs or even turkey eggs. The they will then happily raise these offspring as well. 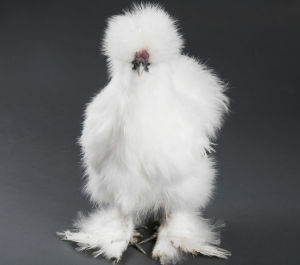 How do you know if a silkie is broody? She will be sat on the nest all day and really puffed up. She will also defend her position in the nest and may be bad tempered. The sit really low in the nest and may steal eggs from other nests. Your broody silkie may pull her feathers out, especially from her breast and flatten herself over her eggs. Expect to be growled or shrieked if disturbed and to peck or bite any hand that comes close. 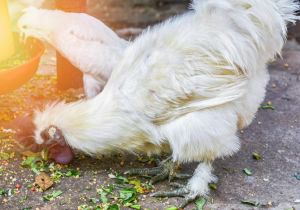 Broody hens will lose weight. 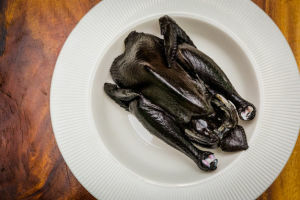 Some actually starve themselves if they take it too far so you may need to turf them off the nest at least once a day to eat and stretch their legs. They can happily sit in their nest box all day and almost look as if they have gone into a trance. How long till the eggs hatch under a broody Silkie? If this is your first time hatching you may be wondering if bantams eggs hatch at different times to large fowl eggs. As a rule the smaller the bird, the quicker the eggs hatch. In reality this means that large fowl eggs take 21 days and bantam eggs take 19 to 20. Serama are closest to 19 and my bantam Barnevelders take almost exactly 20 days. I hatch a lot of bantam eggs under broody hens and they rarely make it 21 days. Anywhere from 18 days to 20 is more common. Especially if its a tight sitting hen or there are two hens incubating. The more the hens get off the eggs the longer the incubation time. If I am running an incubator then I hatch at 99F. They usually pip on the morning of day 19 and hatch within 24 hours of that. So I would say bantams develop a little earlier. For those who only hatch under broody hens and might not even own an incubator they are probably not sure about the temperature under the hen. Hatches are generally shorter in the summer. What if you don't want a broody Silkie, how do you go about getting them off the nest? Arguing with a broody hen is an exercise in futility. I have had them draw blood so care is needed. If she is on a mission to brood and hatch her eggs, even if she is just sitting on shavings or dirt you will likely have a struggle on your hands. If you are determined to break her, break her sooner rather than later. The longer she is allowed to sit, the longer she will need to stay in the cage and the longer it will take her to get back to laying eggs. But there are ways of helping her change her mind. Collect the eggs on a regular basis. The lack of egg and the disturbance may prevent some hens from going broody. 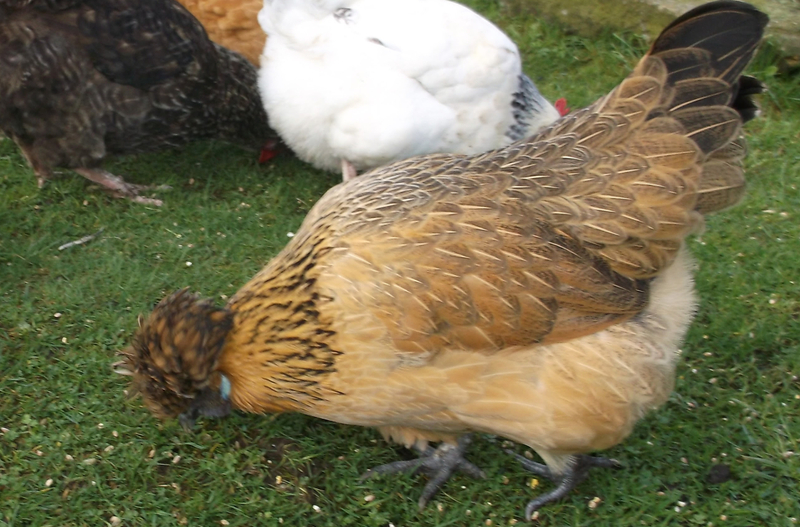 We have tried a number of methods to break up broody hens, with varying degrees of success. The experienced "old-timer" chicken folks told me to suspend a wire bottomed cage, so it would sway with movement and air could flow all around it. Put the hen in the cage with no bedding, and water only for the first day. On the second day, add food, and by the 4th day, the hen should no longer be broody. That method might work with other breeds, but my silkies were just more determined, and were still broody on the 4th day. Some of our hens did come out of broody behaviour within 8-12 days using this method, but as my Silkie population grew, I just didn't have enough room for raised cages. We also tried changing the hen's environment daily, putting her in an outside pen, then in a wire cage at night, in a run the next morning, etc., but that also got to be a lot of work as more hens went broody. Putting the broody hens in a pen with a new cockerel works as well but it can be stressful for the hens. This method effectively bullies the broodiness out of the hen. This year we have stumbled on a method that seems to work consistently with little stress to the hen and not a lot of effort on our part. It's a definite compromise, since we allow the hen a week to be broody. After one week, she spends a day in an outside pen, then is moved to a large wire bottomed cage. There may be 3 or 4 other broody hens sharing the wire bottomed cage. There is plenty of food and water in the cage, and when the hen is moving around for most of the day and no longer sitting, she gets moved back to an individual cage until she begins to lay again. Then she goes back to a breeding pen. Should I put a broody hen in cold water? I have tried the water method. You simply dip the underside of the hen in cool water. I think this method is cruel an no longer use it. This needs to be done on a warm, sunny summers day so that she does not become too cold.